This post is an excerpt from the study guide which accompanies the “Overcoming Codependency” seminar. This portion is an excerpt from “Step One: PREPARE yourself physically, emotionally, and spiritually to face your suffering.” To RSVP for this and other Summit counseling seminars visit bradhambrick.com/events. This may be the most confusing seminar topic ever. Is codependency really a thing? After all, no one can agree on a definition (this is true). Besides, the problem isn’t me; it’s the people who are hurting me or are destroying their life with addiction. You’re not going to tell me this is my fault, are you? Wait a minute, no one in my life is an addict and I’m not married, can I be codependent? These are just a few of challenges we will have to navigate on our journey. We will define the concept of codependency in greater detail as we go along, but here are a few foundational premises for how we’ll use the term. Codependency is a style of relating; meaning it is an activity rather than a condition. Codependency is more about why and how you do things than what you do. There are not codependent behaviors (what you do) as much as there are codependent motives, tones, and patterns (why and how you do things). Those who relate codependently struggle to rightly assign responsibility for problematic actions by others and self. The struggle to rightly assign responsibility makes it hard to determine “reasonable expectations” for others. The struggle to appropriately assign responsibility results in a difficulty regulating personal emotions. The struggle to assign responsibility and regulate emotions produces unhealthy relational patterns. Codependency is often (not always) associated with abusive, addictive, or controlling home environments. Those who related codependently are usually physically-emotionally exhausted and feel used by others. Unless we intentionally learn to think about responsibility, relationships, and emotions differently, we will continue to relate in a codependent manner. You may not like using the term “codependency.” That is fine. There is no magic in the term. You may not feel like you have the emotional energy left for what change will require. But realize the number of crises and amount of drama around you is going to take a large emotional investment. You might as well invest that energy in learning to relate in a healthier manner. You may have reached out for help before and been burned. Unfortunately, this is too frequent, even in Christian contexts. Those affected by abuse, addiction, or adultery do not always get good counsel when they reach out for help. Hopefully this seminar provides a resource to help you vet the competence of helpers you invite into your life. “In fact, many victims believe clergy have the most potential to help them, when in reality they are too often the least helpful and sometimes even hurtful (p. 16).” Justin and Lindsey Holcomb in Is It My Fault? If you look at the studies referenced by Justin and Lindsey Holcomb, what you will find is that direct invention helpers (pastors, police, lawyers) are initially less helpful to those in harm’s way than less direct intervention helpers (hot lines, social workers, counselors). When attempts are made to introduce change, even healthy changes, into your social systems before you are ready to consistently cooperate with those changes, the results are often a more difficult living situation. That is why this seminar is focused on you; more than your living conditions (i.e., abuse, addiction, manipulation, etc…). You will need to be ready to consistently live out the implications of any changes that are made in order for those changes to benefit you. You will also need to be ready to live out the implications to maximize the potential influence you have on your loved one(s) who are living destructively around you. With that said, one of the goals for this seminar is for you to understand the entire process. We will be taking a 9 step journey together that unfolds in three phases. A summary of the primary objective for each phase is listed below. 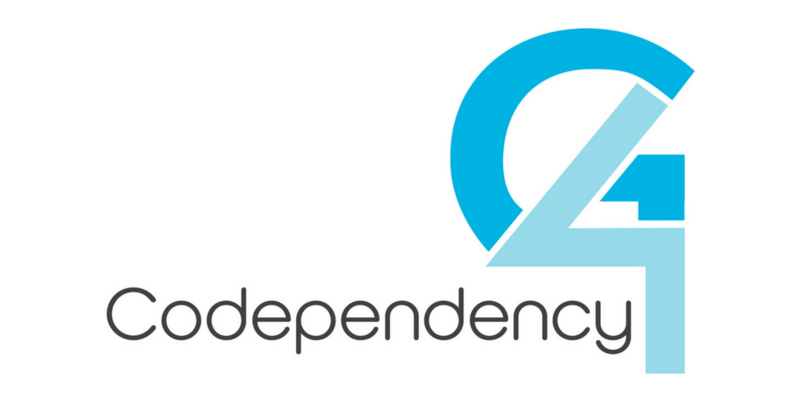 We mentioned earlier that there is no agreed upon definition for codependency. That is because codependency is a pop-psychology term rather than a clinical-psychology term. This does not mean codependency is a myth. It just lacks a clear definition which comparable terms such as addiction, bipolar, or anorexia have. For the purposes of this seminar, we will examine three types of relational patterns that can be codependent. Relationships Involving Addiction – When addiction is present, it creates the dynamics of infidelity. Something is primary in your loved one’s affections. For a period of time you may not know who-what it is. When you find out, you feel betrayed. There is lying, promising, threatening, pleading, silence, and other dysfunctional communication patterns. Your life and habits begin to accommodate the presence of this “other” for the purpose of maintaining some sense of order. With time, these accommodations become an increasingly unhealthy pattern of relating. Relationships Involving Abuse – When abuse is involved, it creates a power imbalance in the relationship. The abuse is usually intermittent, so you think “It’s not always that bad.” Relational patterns are developed to appease the things that would upset the abusive person and the number of secrets being kept increases. This creates increasingly superficial relationships with those who are unaware of the abuse and higher degrees of shame. Relationships Marked by a Fear of Man – “Fear of man” is the biblical term for valuing the approval of other people more than the approval of God. If the first two forms of codependency are the result of suffering, this expression is rooted more in our values and choices. This expression of codependency often goes by the names of peer pressure or insecurity. We live to please people more than to please God. This study will focus primarily on the suffering side of codependency, however, in the latter stages of your journey you will likely also have to wrestle with fear of man issues. Knowing these types of codependency can help you navigate when parts of this study do not match your situation well. We will be speaking to all three. These distinctions may also help you understand when friends use the term codependency to describe a struggle different from yours. It doesn’t mean either of you are wrong. It is like when two people talk about owning a dog and one has a Chihuahua while the other has a Golden Retriever.